Dragon's Eye will be at Independence Library in August and September creating and rehearsing. Check our Facebook or Twitter to see when we'll be there. ​Come play with us and help us build the play! 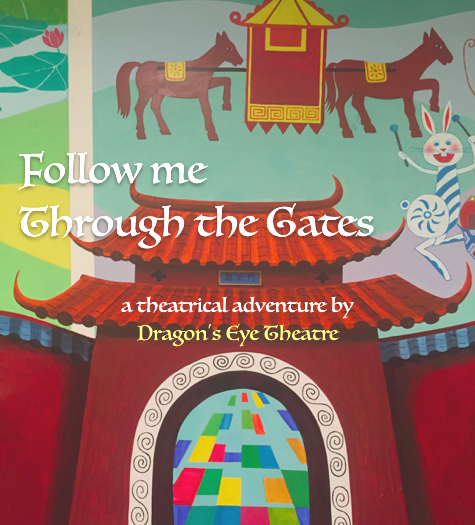 Dragon's Eye Theatre brings you a new imaginative, interactive adventure, this time through Independence Library, written by Philly’s first Asian-American playwright, Stephanie N. Walters. ​Help Grandfather, Ty, Azsori, and their favorite librarian on a quest of exploring your roots and finding your family. Dragon’s Eye Theatre is a sponsored project of Fractured Atlas, a non-profit arts service organization. Contributions for the charitable purposes of Dragon’s Eye Theatre must be made payable to “Fractured Atlas” only and are tax-deductible to the extent permitted by law.